The Abbey is the premier Anglican church in the world. It's a Gothic church the size of a cathedral, and is the priamry place for coronation and burial ceremonies of the English monarchy. The Abbey is stunning from the outside. The fever of the "Roses" in television dramas has had a noticeable impact on this monument,now world-famous for the televised broadcast of Princess Diana's funeral. Since then, visitors increased 300% according to the official stats. 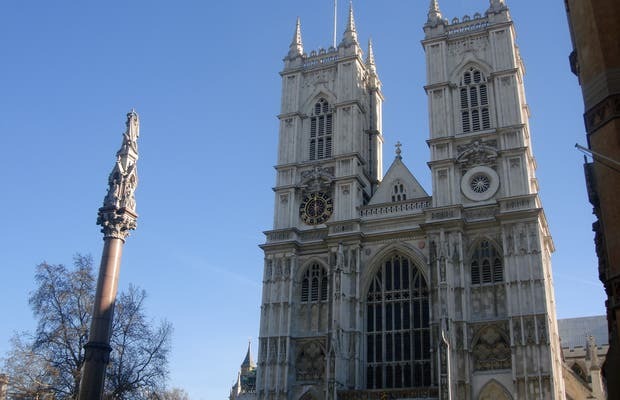 Westminster Abbey was founded in the 10th century. At that time, most of the Christians of Europe accepted the authority of the Pope and the Roman Catholic Church. Since the coronation of William the Conqueror in 1066, almost all English monarchs have been crowned in the cathedral. The Archbishop of Canterbury is responsible for performing coronation ceremonies. St. Edward's chair, the throne on which the sovereigns sit during coronation, is preserved inside the cathedral.